People often pose the question of how to keep birds from nesting in their dryer vent's exterior exhaust. The DryerJack helps keep the birds out. How? The sharp angle on the flap deters birds from nesting, as it is rounded and has no flat surface to hold debris. There is also a built-in lip that protects the front edge of the damper from being lifted. 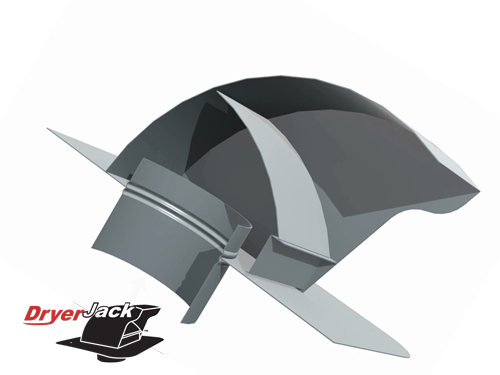 With the DryerJack on a sloping roof, the curved and angled damper hinders intrusion. This is important because when the dryer's exhaust is blocked, it not only increases the laundry drying time, but it also creates a dryer fire hazard. The lint that the dryer would normally send outside gets trapped and it may back up into the heating element. 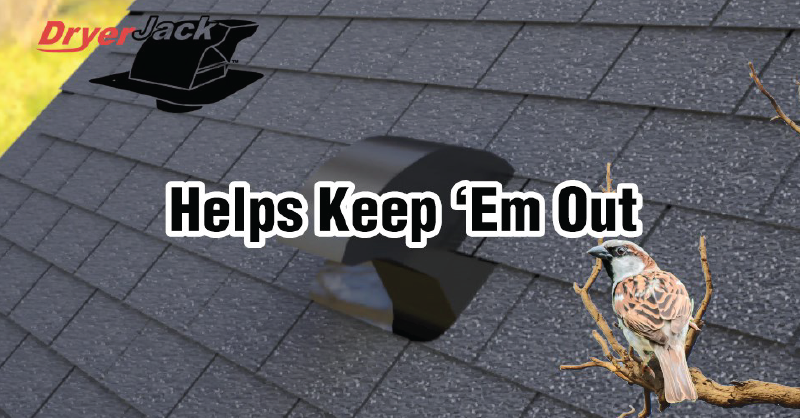 Check out the DryerJack and contact a qualified professional today to have this amazing bird deterrent installed!